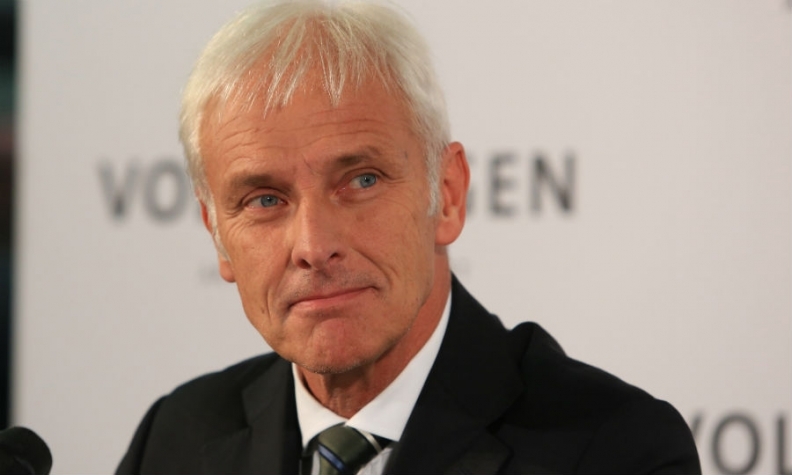 CEO Matthias Mueller: "I am sorry that Volkswagen was involved in the matter as one of the sponsors of EUGT." FRANKFURT -- Volkswagen Group CEO Matthias Mueller said tests in which monkeys were exposed to toxic diesel fumes were "unethical and repulsive," apologizing for the misconduct of those who were responsible for the study. VW has come under fire after The New York Times reported last week that German automakers had used an organization called European Research Group on Environment and Health in the Transport Sector (EUGT) to commission the tests. The study, conducted in 2014, was designed to defend diesel engines following revelations that the fuel's exhaust fumes were carcinogenic, the newspaper reported. The revelation is the latest aftershock from the VW emissions-rigging cheating scandal, which continues to rock the auto industry. "The methods used by EUGT in the United States were wrong, they were unethical and repulsive," Mueller said at a New Year's Reception in Brussels late on Monday, in his first public remarks on the report. "I am sorry that Volkswagen was involved in the matter as one of the sponsors of EUGT." "Over the weekend we had to learn once more that there is still a long way ahead of us to regain lost trust," Mueller said. Mueller, a company veteran who become CEO after the emissions test cheating scandal broke in September 2015, has complained on several occasions that tackling VW's closed-off corporate culture was proving tougher than expected. He said The New York Times report showed VW had to raise its game in improving ethical standards, and pledged to take the necessary action once it had finished investigating EUGT's work. "We must live and deal with setbacks," he said. Mueller and CEOs from German manufacturers and suppliers including Daimler and Continental will on Tuesday discuss ways of trying to regain the initiative after the test revelations, two auto industry sources told Reuters. Executives are expected to meet in Berlin on Tuesday to elect the new head of Germany's VDA car industry lobby. German supplier Robert Bosch said on Tuesday the revelations were damaging for the entire industry and that a decline in demand for diesel could pose a threat to jobs. "Bosch had nothing to do with the animal experiments. I am as appalled as you all are," CEO Volkmar Denner said. EUGT received all of its funding from VW and fellow German automakers Daimler and BMW Group, The New York Times said.